The smartphone application market is crowded, to say the least. But amongst the Fatbooths, Zombie Farms and Bejewelleds there are a few absolute gems, the ones you tell your friends about, or that make your smartphone indispensable, or that become instant classics, or that are just… cool. What is it makes them stand out? There are a huge number of journey planner apps out there – both national (NextBuses, I’m looking at you) and local (London Underground). A surprising number of people answered my “what’s your favourite app” question with some sort of variation on the journey planner, but specifically for buses. I think this may say more about the bus system in this country than anything about app development – but that’s the point. Successful mobile apps are both appropriate to the device and they’re genuinely useful. Like Hipstamatic before it, Instagram is basically Just another Photo Editing app. And maybe in 10 years time we’ll all be a little confused as to why we thought that the best use of some of the sharpest smartphone camera technology of our time was to make all our pictures look like they were taken in the 1970s. However, although Hipstamatic did the “make it look like an old camera” shtick better, Instagram’s community aspects (including its connection to Klout) and ease of sharing makes it much more addictive. Its limitation to iPhone is (like Word Lens) a major drawback in the wider market, but ultimately it’s a great idea and it is well executed. Shazam is one of my personal favourites, perfect for “what’s that tune” moments over a drink. Let your phone listen to a short snippet of whatever’s playing; it searches the database, and bingo. Also available on Android, Blackberry, Windows phone & Nokia, with great links to purchase said tunes online, it’s a total must for music lovers. A definite case of app development having the technology and usability. Much like ipadio, Stephen-Fry-approved Audioboo is a simple service that allows you to record and publish 5 minute podcasts from your phone. What’s great about this app are the uses to which it’s been put, best of which was #uksm. Up until June 2011, any post tagged with #uksm was added to the British Library’s UK Sound Map project (http://sounds.bl.uk/uksoundmap/index.aspx) – the first historical document of its kind of the sound of the UK. Convenient, user-friendly, and thought provoking. If ever you needed proof that we actually now live in the future, it’s Word Lens. A translation tool that utilises the iPhone’s camera and translates in real time on your screen, no internet connection required. Actually has to be seen to be believed. Major downside is that it’s only available for iPhone, although there are rumours of an Android app in the near future. While Google Goggles requires you to take a picture, and requires an internet connection, Word Lens just does it. I’ll have my jetpack now please. 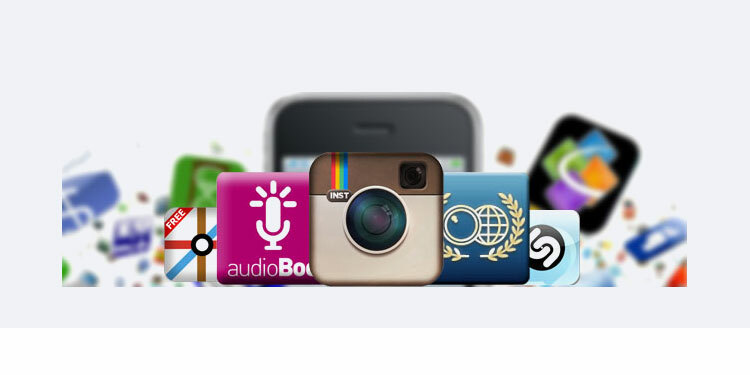 What is your favorite smartphone application?